Paul Jorgenson, manager of communications and marketing for Tree Canada, recommended Fredericton apply next year for a grant for an insecticide called TreeAzin. 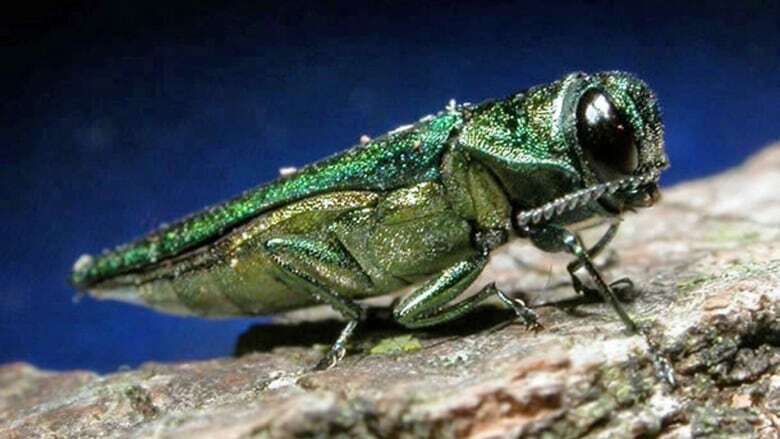 Despite the forest-destroying emerald ash borer being found inside the province, all hope may not be lost for New Brunswick's ash trees. Paul Jorgenson, spokesman for Tree Canada, recommended that next year Fredericton apply for a grant for an insecticide called TreeAzin. The injection kills the insect larvae feeding on the tree's tissue by regulating growth and disrupting molting. "Nothing is 100 per cent, nothing is perfect, there is no silver bullet on this particular issue, but we feel that the data is pretty conclusive that inoculation can be a very attractive," Jorgenson told Information Morning Fredericton. The bug, which has an emerald green back and bright green underbelly, moves quickly. It kills 99 per cent of the native ash trees within the first 10 years of establishing itself in an area. Tree Canada is a charity organization that plants and nurtures trees. They have an initiative called Operation ReLeaf Emerald Ash Borer, which aims to stop the emerald ash borer's expansion inside Canada by distributing the product. The initiative is in partnership with municipalities in Ontario, Quebec and the insecticide's creator, BioForest Technologies Inc.
Tree Canada offers an application process every year for communities to apply for free to the organization for grants to use TreeAzin. Once the application process is closed, they assess which cities are most in need. Jorgenson said they've helped communities like Peterborough, Gatineau and the small town of Mississippi Mills, Ont., fight the invasive beetle. "Trees are not just, you know, something that are nice to look at," Jorgenson said, adding that trees purify our air, filter water and fix nitrogen. "We feel that they ought to be seen and treated as a green infrastructure, because communities without them are really not necessarily the nicest places." City councillor John MacDermid said all options to deal with the emerald ash borer are under consideration. A tree that is approximately 45 centimetres in diameter requires approximately 240 millilitres of insecticide. The cost of the injection ranges from about $135 to $180 to treat a tree of that size with TreeAzin. Jorgenson said they've been using their Operation ReLeaf Emerald Ash Borer with "great success" since 2013. "The only wrinkle is that you treat the tree if the pest remains in the area. It's kind of a bit like the flu vaccine where the vaccine does wear off after time, so you might need to reinject the tree every, you know, two years or three years, as long as the threat is present." Trees can be injected before they're infested. 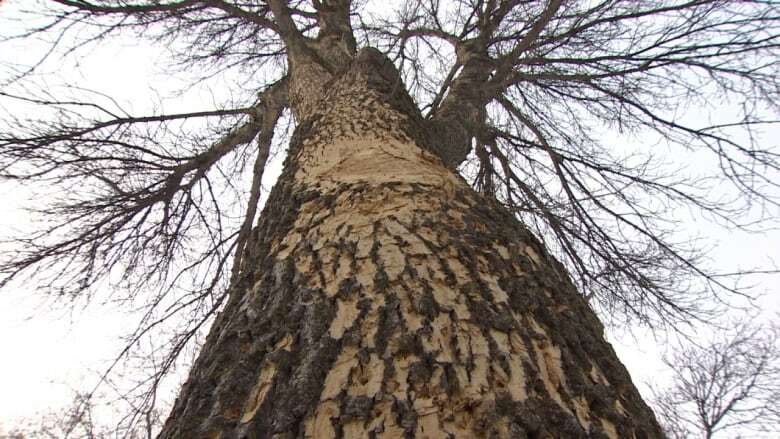 A tree that's already been attacked by the emerald ash borer can also be injected, so long as no more than 30 per cent of the tree has been affected. Jorgenson said sometimes cutting trees is necessary in certain circumstances, but several factors should be considered before making that decision. "It takes roughly 30 years for a newly planted urban tree to even begin providing the maximum benefit that it provides to the urban forest when fully grown," Jorgenson said. He also said the cost to administer TreeAzin is less expensive than cutting the tree down. He said the price of cutting down a tree ranges anywhere between $200 and $1,000. The biggest way the ash borer moves is through firewood, so even if a tree is cut down it still needs to be properly disposed of. The application process for the inoculation is closed for 2018, but Jorgenson recommended Fredericton apply next year. Although it varies from year-to-year, a community typically receives 12 litres of the insecticide. An earlier version of this story referred to TreeAzin as a vaccine or inoculation. In fact, it is an insecticide that is injected into the tree.